Over the summer I had the chance to be a sponsor for the Walk like MADD event in the Detroit area. 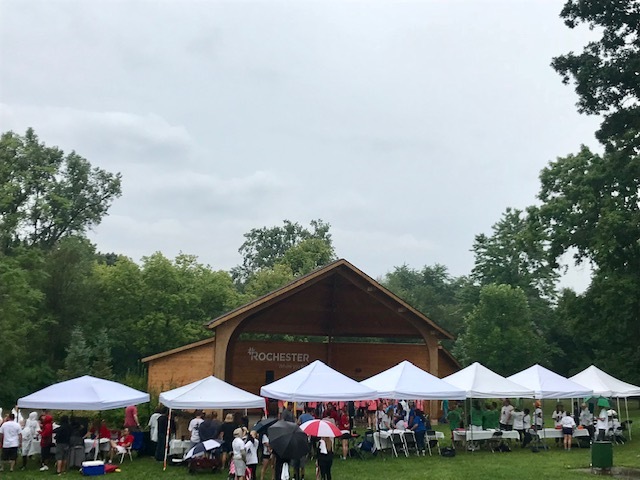 It was a rainy day, but a multitude of families showed up to walk in honor of loved ones that had been lost due to substance impaired drivers. It was a powerful and grounding experience to be a part of, and I’m grateful for the opportunity to meet so many strong, resilient folks who are honoring those they lost. It was a reminder to live each day intentionally and notice the good. If you’re interested in joining an event near you, check out their website. If you know someone impacted by an experience like a car accident, you can connect with them and provide support. Listen, help with basic needs, and encourage them to find a therapist if you see signs of a trauma response.